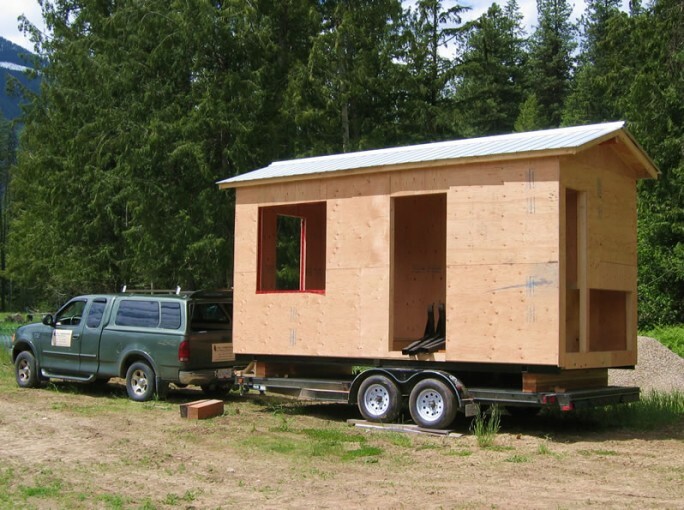 Seeing the frame of this tiny house being pulled by our truck helps put the size in perspective. As people learn more about the true cost to our planet of building, heating, cooling, and cleaning a large house, a tiny house becomes much more attractive! The owner of this house will be living in 144 square feet with her four legged canine friend. And the lower cost of building and maintaining this house will allow her to significantly reduce her need to work for an income. If we are waiting for retirement to follow our dreams because we need to stick to a 9 to 5 job just to pay the mortgage, is there another way?